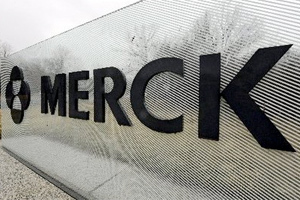 Merck & Co and India's Sun Pharmaceutical Industries have agreed to dissolve a joint venture set up in 2011 to develop and market branded generic drugs in emerging markets outside India. The two companies said that while both parties had invested considerable time and resources into the JV, they had decided to wind down the venture "due to changes in the strategic priorities of both the parent companies". The JV was originally set up to tap into Sun's product development experience and combine it with Merck's clinical development and registration expertise to focus on 'innovative' branded generics intended to enhance convenience for patients. Sun said it would continue to work with Merck (known as MSD outside the US and Canada) on other projects including the co-marketing partnership for diabetes drug sitagliptin in India and the global development programme for interleukin-23 inhibitor tildrakizumab. Sun acquired global rights to tildrakizumab (MK-3222) from Merck in 2014 for an upfront payment of $80m. The Indian firm said it would not be materially impacted by the decision to dissolve the branded generics JV during its fiscal third-quarter results briefing, at which it reported a near 4% increase in nine-month net sales to just over $3bn. Sales in emerging markets fell 13% to $424m in the same period, which the company attributed to "volatile currency movements in certain emerging markets and a strategic decision of not participating in some low margin businesses". The announcement comes a few weeks after the FDA issued a warning letter to Sun Pharma about its Halol facility in Gujarat, India, indicating that efforts to correct quality failures at the plant - identified during a 2014 inspection by the US regulator - were unsatisfactory. The problems at the plant caused the FDA to withdraw approval of Elepsia XR (levetiracetam), an extended-release version of the epilepsy drug that had been due for launch in the US later this year. The deficiencies at the Halol facility were also cited among the reasons for the FDA's rejection of the Indian company's marketing application for Xelpros (latanoprost) last August. Sun Pharma said last week that it would ask the FDA to re-inspect the Halol facility, suggesting that is confident of showing improvements that would reduce the threat of an FDA import ban for products made at the plant.